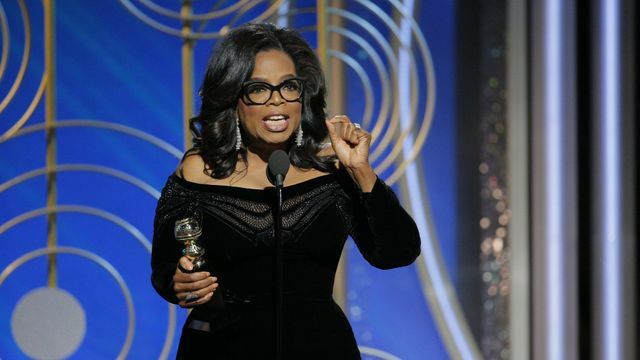 If any of us were ever in doubt of the power of storytelling then surely Oprah Winfrey, in her magnificently brilliant Golden Globes acceptance speech, has banished all doubt. For nine, glorious, minutes Oprah had the world sitting - cross legged - at her feet, collectively holding its breath waiting for the next twist and turn in a tale that was by equal measure devastating and uplifting. Those nine minutes will echo forever - nine minutes which perfectly counterpointed the chaos of 2017 - a year punctuated by racial division, frightening political aggrandizing and sexual exploitation finally screeching into the light. Oprah's story somehow felt more than the sum of its parts; more weighty, more momentous, and this excellent piece by Sam Leith in yesterday's FT explores why. Alongside its rhetorical tricks and turns, alongside the power of Oprah's voice, and her undeniable intelligence, is the simple fact that she told a brilliant story, brilliantly well - delivering it to each and every one of us. By speaking directly to us - man or woman, black or white, famous or not - Oprah invited us into her world, and made us part of her vision. By listening to her to speaking to us we felt her power, and in feeling it, her power became ours. And that power is transformative - it makes us feel we can conquer, it drives us to take action. In winning the Cecile B DeMille award, Oprah recognised the gift she had been given. Not the award, but the right platform at the right time. She knew she had the opportunity and she left nothing to chance. She crafted, she honed, she practiced. And she delivered. Oh boy she delivered. Oprah's story lifted people from their seats, set twitter alight, got the media's attention, and the world talking. About the right things, at last. Her speech did everything she could have hoped it would. No barn was left unstormed. It was a speech about storytelling (“Each of us in this room is celebrated because of the stories that we tell, and this year we became the story”) and bearing witness — themes that unite the political moment with what Hollywood exists to do. #Oprah has set the #MeToo movement on fire. Its time.